Kawasaki have officially confirmed that there will be a new ZX10R expected next year. ‘Kawasaki set to unveil WSBK influenced Ninja ZX-10R for 2016. A dominant force in the World Superbike Championship. Kawasaki is set to continue the development of the highly successful road going Ninja ZX-10R concept with the imminent unveiling of a new model featuring a host of updates influenced by the Kawasaki Racing Team. Possessing a direct link to the Superbike that Tom Sykes successfully campaigned to secure the 2013 WSBK Championship so convincingly, and that was subsequently honed to take Jonathan Rea to such success in the current season, the new litre class Ninja displays only some of its many changes on the surface – such as subtle yet highly effective changes to the cowling shape – with others only becoming apparent as you get closer to the thoroughbred machine; the most obvious of these being a comprehensive upgrade of the suspension components and the adoption of a premium grade braking system. 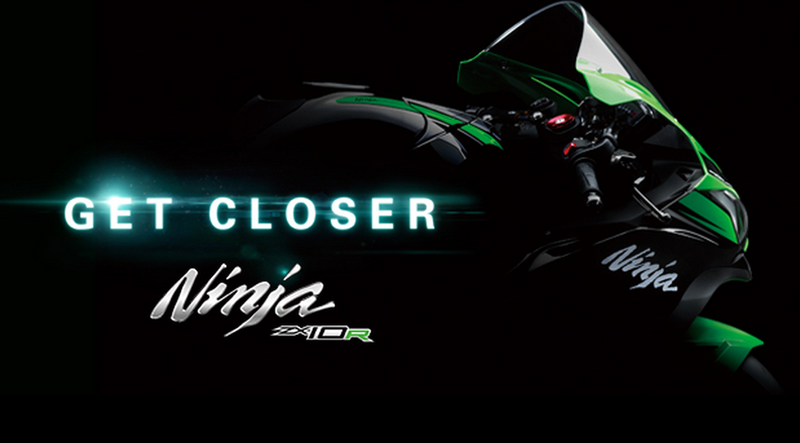 Appropriate then that the marketing campaign tag-line for the new machine is “Get Closer” and, very soon, invited journalists from around the globe will see the 2016 Ninja ZX-10R up close and personal for the very first time in October at an exclusive media launch hosted alongside the Kawasaki Racing Team in Barcelona, Spain. “This is not a “clean sheet” design as the current Ninja ZX-10R is such a good base to develop from”, commented Project Leader for KHI, Yoshimoto Matsuda. “With the new model we have focussed our development resources on an overall engineering and performance improvement. We are proud of the result; it means a significant advance in terms of both chassis and engine performance as well as providing the platform to introduce new, state of the art rider aids and other technology.